Top Sacramento Realtor Phillip Baiz of Keller Williams Realty is your local real estate agent when it comes to buying, selling or investing in real estate. You need someone who knows the area inside and out! Phillip Baiz can work with you to not only sell your home but get it sold in the least amount of time and for the most amount of money. However, if you are looking to buy a home, Phillip’s top negotiating skills can help you find your dream home that fits your budget. 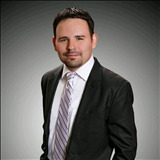 Above all, Phillip is devoted to working hard for each and every client treating them as family.